Read, learn, and share these articles that I have written and those of other experts who I respect and admire. We’ve got a very complicated workplace and only getting more so. This blog is my way of navigating these complications. Feedback welcome! Supporting the needs of travelers at any level requires precision, attention to detail, an awareness of safety and grace under fire. There is, however, a level at which expectations begin to shift into an even higher gear. A Global 2000 executive, for example, may require a very different type of travel experience than a salesperson at a regional company. These same requirements may extend to other types of discerning power travelers — including high net worth individuals and those served by family offices — as well as to executives at organizations of any size whose service or security requirements are higher than those commonly available through conventional commercial travel. If you’re new to executive travel management or to serving a high-level executive in this capacity, you’ll be expected to seamlessly execute travel to these standards — whether or not you’re ever given formal training on what those expectations are. While every executive is different, there are some common themes you can use to help you navigate the needs of a high-level traveler. Check out the following key differences you’ll want to be aware of when managing their travel plans. Private air is a great example of the way travel priorities can shift. For high-level executives, business aviation isn’t only about comfort. Besides the need to ensure safety at every stage of the journey, choosing private aviation about three things: efficiency, productivity and privacy. You know the drill with commercial airfare. You arrive at the airport hours in advance and wait to board your plane. If you’re lucky, your flight will land within a reasonable distance of your destination; if not, you’ll be stuck transferring to a car for the remainder of the travel time. Airport backups, missed connections and other delays add further complications, hindering a traveler’s ability to use his or her time effectively. Now, contrast that experience with the one provided by private air. Rather than spending hours waiting, your executive can simply arrive at the fixed-base operator (FBO) and depart shortly after. Perhaps even more importantly, they can fly directly to areas that may not be served by major airlines — which is especially important in the case of businesses with offices or facilities in smaller markets or rural areas. A private jet setting can also be more conducive to getting work done while in transit. Depending on their size, private jets can typically be configured into different work-oriented layouts in order to maximize productivity, while amenities like conference rooms, and enhanced communications create a true mobile office, further increasing on-the-go effectiveness. Compare that to trying to get anything done in the cramped quarters of a commercial flight, with the space limitations and potentially intrusive seating partners they often entail. Business aviation can also offer much-needed privacy for traveling executives. Imagine that your company is in discussions for a potential merger or acquisition, or is registering for a public offering or other transaction. Executives simply can’t be overheard discussing corporate business, or risk setting off speculation, undesirable publicity or — at worst — violations of federal securities laws. Particularly if your executive will be traveling with a group of colleagues, private flights — typically arranged through your company’s corporate flight department, or through a fractional ownership or membership program — may be preferable for the confidentiality they can provide. Most business travelers are subject to clear allowances for travel expenses. But as you look at more senior levels of an organization, rules often change so leaders can have the flexibility they need to get the job done. That isn’t to say that cost isn’t a factor for traveling executives. There are simply other factors that are more important in the grand scheme of things than booking arrangements at the lowest possible cost. For instance, although you already know you can save money by booking air and hotel reservations weeks or months in advance — as well as by booking non-refundable tickets — the restrictive nature of these arrangements doesn’t always mesh with the reality of high-level executive travel. 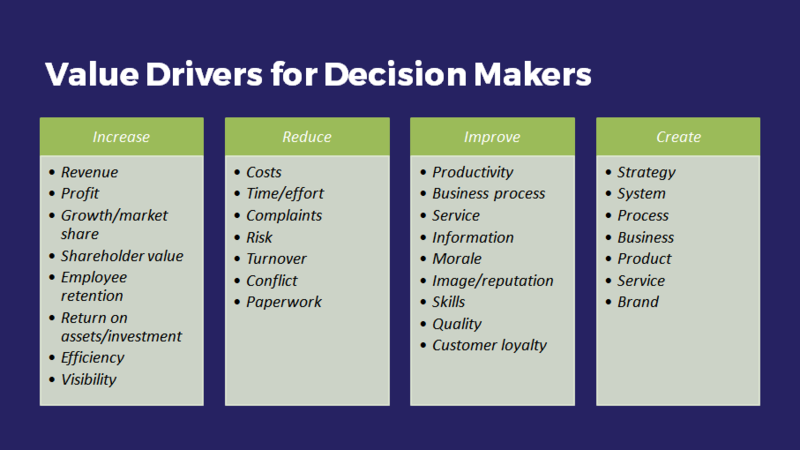 Senior executives often won’t have the visibility or certainty around their schedules to allow for these options. Things move quickly in the world of business, and the company that’s nimble enough to capitalize on new circumstances first often wins. That makes it easier to justify last-minute bookings and frequent schedule changes — despite their cost. You’ll often hear executives use the term, “ROI,” or “return on investment.” Travel expenses are actually a great example of measuring ROI: what matters most isn’t usually the absolute cost of a trip, but the return they might achieve from investing in that way. Will spending money now allow them to make more of it later? 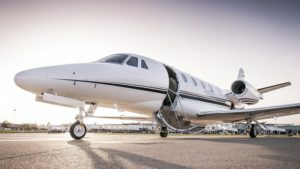 Spending $2,000 on a last-minute commercial flight – or even $10,000 on a seven-passenger Learjet 31 from New York to Washington D.C. – makes great financial sense if it allows your executive to close a million-dollar deal. Most high-level executives think of themselves as normal people, but the public profile of their position may put them at a higher risk of both opportunistic and targeted crime. Public knowledge of their schedules may result in premeditated incidents, such as the pie in the face received by Qantas’ CEO at a speaking engagement. Status symbols — such as expensive clothing or luggage, or even the deferential treatment they receive from travel companions — may tip off bad actors to their importance (and, therefore, their desirability as a target for opportunistic crime, such as a pick-pocketing or kidnapping). By most accounts, executive kidnapping is severely underreported — by as much as 90%, according to AIG. Understandably, no company wants to shake investor confidence by reporting a compromising position into which their executive has been placed. But because it’s so underreported, executive assistants working at this level may be unaware of the importance of protecting not just their executive’s comfort and productivity, but their safety as well. Of course, this list is far from comprehensive — what’s necessary for one executive may not matter to another. If your executive isn’t forthcoming about their expectations, reach out to others in your company (ideally, your company’s security department, if one exists) for insight into your executive’s particular security needs. Finally, keep in mind that the schedules of high-level executives are often booked in 5-minute intervals — and few have the luxury of relaxing their schedules while traveling. That means it’s up to you to defend their productivity with the same pleasant, yet ruthless approach you rely on when they’re in the office. You’ll learn your executive’s unique rhythms and requests as you go. But if you need to get up-to-speed quickly, or if you need a quick refresher for inspiration, check out “The Power Assistant’s Guide to Executive Travel Management” from Savoya. In addition to providing a complete step-by-step walkthrough of the travel planning process for high-level executives, this free resource offers in-the-trenches tips for every stage of your executive’s journey. Travel management is your chance to shine as an executive assistant — to prove you can be your executive’s strategic partner, rather than a glorified version of Travelocity. Step up to the plate with these and other tips for high-level executive travel management. That’s what being a power assistant is truly about. 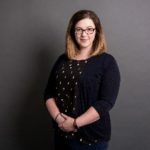 Sarah Rickerd serves as the Content & Communications Director at Savoya, the industry’s leading provider of secure executive ground solutions. In this role, she supports travelers and their teams with valuable education resources intended to facilitate smoother, more effective ground travel experiences. Workplace bullying is a global epidemic and sexual harassment is a toxic piece of that problem. #MeToo #TimesUp: What Do We Do Now? 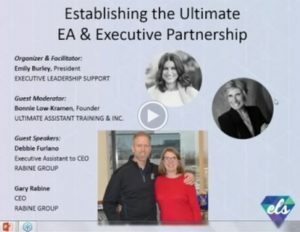 Bonnie Low-Kramen, thought leader and author of Be the Ultimate Assistant, interviews CEO Gary Rabine and his Executive Assistant Deb Furlano in a refreshingly honest conversation about how this partnership really works. 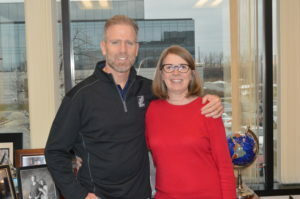 You will hear Gary’s take on Deb’s impact to his bottom line profits from her involvement in his company for the past 7 years. The ELSx Webinar series is sponsored by Program Director Emily Burley and the Executive Leadership Support Forum. Please share this recording with your colleagues and leaders. Our guest is Teri Wells who has worked as an Executive Assistant in Johannesburg, South Africa for 29 years. 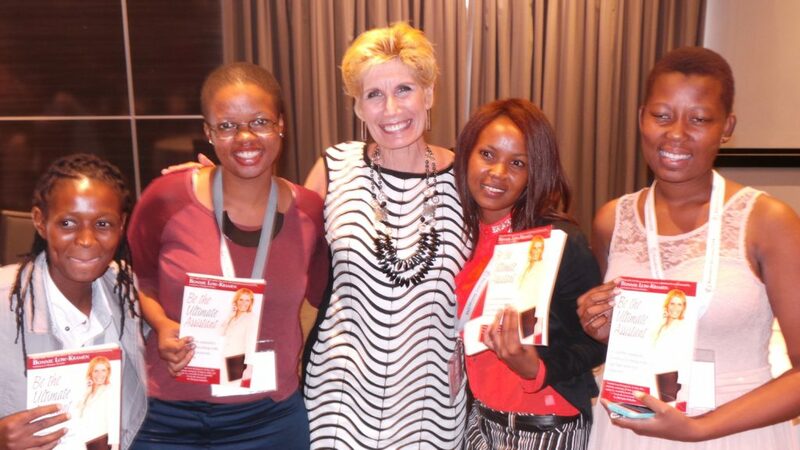 In 2015, she had coffee with fellow EA and speaker Anel Martin which is when “Isipho” was born. 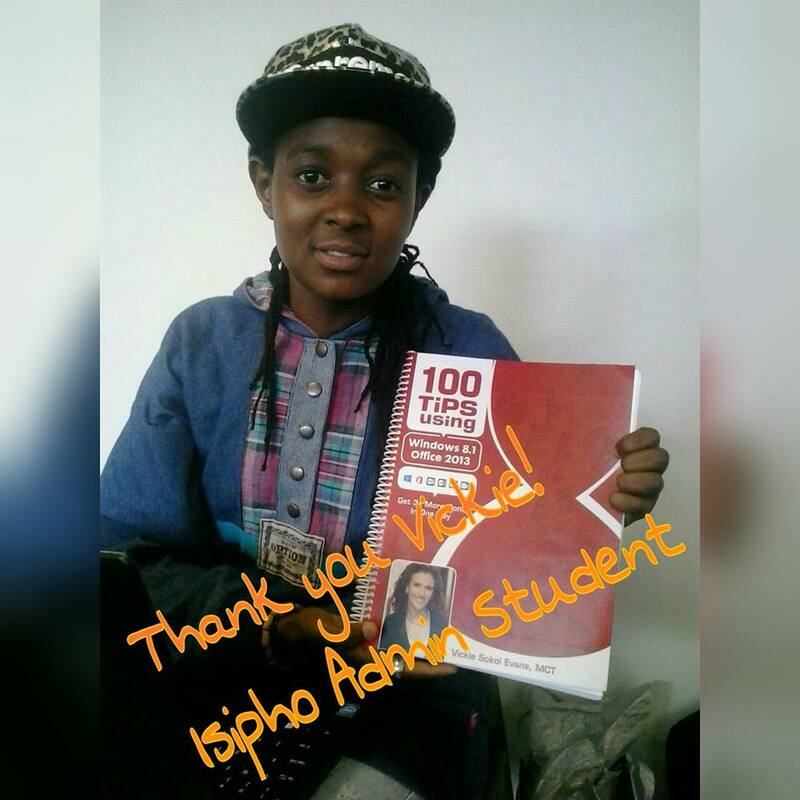 Isipho translates to “the gift” which in this case means the gift of education. It started as Teri’s and Anel’s way of paying it forward in a profession that has given them both so much. 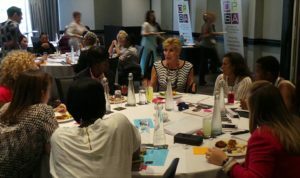 They collaborated with Executive Secretary Magazine Founder Lucy Brazier and together, they set out to change lives and wow, did they ever. They raised money to send promising young adults to a vocational school that would train them to work as administrative professionals. The tuition for the ten month program is approximately $1,200 USD/per candidate. Teri and Anel also determined to provide mentors and ongoing support for these students who otherwise, would have no chance to attain this training. 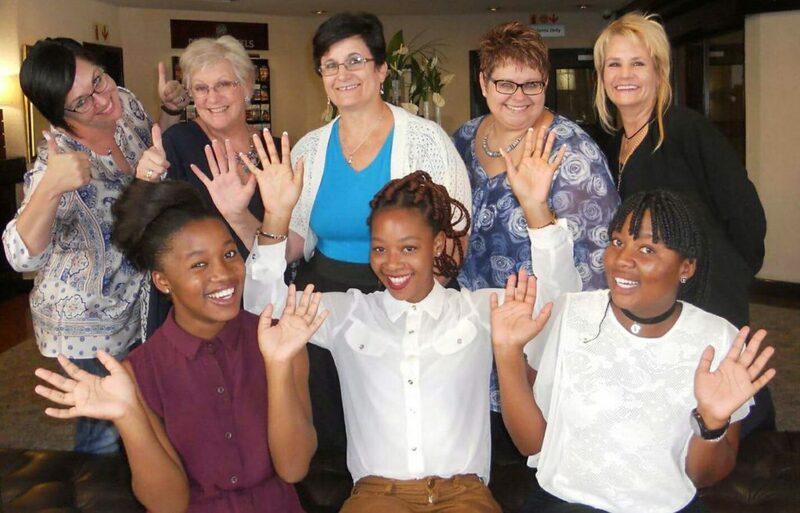 Listen to Teri’s moving stories of Lerato and Iris, two girls who graduated from the program. Learn what you, your manager or your assistant network can do to make a difference one person at a time. Teri inspires us to understand to our core what is possible when we decide to make it happen. Note: At this writing, through the generosity of our attendees and their employers, four students were fully funded at the LIVE conference in San Jose. And the final scholarship was sponsored by the money raised during the conference from the attendees. It’s time to shine a light on the invisible default button. This article is about how women behave with one another. After all, the assistants of the world are 95-98% female. For the men reading this piece, I hope you find the following insights useful; knowing them can help us all collaborate better. Imagine a workplace where women enthusiastically and happily support each other. A workplace without manipulation and victimization, without passive aggressive behaviors, where bullying is practically nonexistent. Sound good? If yes, then why is it so hard to make it happen? I can imagine this new normal. What it will require is an awareness of the invisible default button that is deep inside all women. And it will depend on our commitment to shut it off. What is the default and what does it look like? The messages women get loud and clear when we are young girls are steady, and strong, and they stay. As in forever. The default can also be referred to as our autopilot behaviors and unconscious bias. Know your place & don’t veer too far from it. Don’t step on toes, don’t make waves, or trouble. Be seen, not heard. And, sometimes, be invisible. Be pretty, be quiet, and be perfect – at least in how you look. We are trained to compete with one another for the approval of men. These messages have exploded with conflict in light of the issues with sexual harassment and the #MeToo and #TimesUp movements. Don’t come across as too smart or a know-it-all. Don’t brag or toot your own horn – you might be viewed as conceited or full of yourself. Smooth everything over – even if it means apologizing for things that are not your fault. When receiving feedback from another woman, the default behavior is to be defensive and suspicious of motivation. Be grateful for any job and don’t question the money you are being paid. Other examples of the default: when we judge ourselves harshly for pretty much everything and feel we don’t deserve the raise or the attention or the promotion. Or when we feel badly about taking credit for something great that we totally did. We judge our female colleagues harshly when we see their success and we feel envious and say things like, “I did a better job last year and nobody noticed me.” Or when we allow our male executive’s bullying behavior slide and excuse it with statements like, “Well, that’s just the way George is.” If we’re honest, we would say that we would never allow “Georgette” to get away with a fraction of what we allow “George” to get away with. Every assistant knows that she has a responsibility, an obligation, to speak up. Yet many stay silent. Fear wins. I am shocked by the volume of stories of “mean girl” junior high behaviors in billion-dollar workplaces. My first thought when I hear them is: the default is stronger and louder and winning. Women need awareness and we need leadership to show another way. Our default button tells us to take things personally and to take offense. If that’s true for you, I urge you to resist and reject that first impulse, that automatic behavior to be suspicious of the motivations of other women. Given the complexity of our global workplace, women need to become wide awake to exactly what is going on and to speak up about what we know. We can now understand how we get trapped in the default. Old habits are hard to break. What I see all over the world is that these behaviors are slowing us down and stopping some of us dead in our tracks from fulfilling our goals and dreams. And many are quitting their jobs over it or even landing in the hospital from stress. Our children are watching and seeing everything. Unless we turn off the default, the cycle begins again. The data shows that women apologize 10 times more than men and for things that are not anything to apologize for. However, women don’t forgive as easily, and we never forget a misstep, especially with other women. We forgive men much more easily. The hard truth is that when women don’t get what we want from men, we take it out on other women. It’s time to become aware and to stop. Time’s up for the default and time’s in for new choices! Why do I care so much about the default? I care because I see too many women who are at the end of their ropes and living every day with stress levels of 6 (on a 1-10 scale). I know that workplace bullying is a global epidemic and too many are filled with fear to address it. Who gets trained to do that? We don’t. Women are the primary targets of bullying and sexual harassment and we are paying a very high price for the trauma. We tolerate bullying and sometimes don’t even know that’s what it is because it has become so normalized and part of our daily experience. That’s the default in full play. I say that we need to shut off the default and create a new normal. At the same time, women will find their voices to confidently support leaders to design new policies that work and can be sustained. So, what’s the long-term fix? First, we need to shine a light on this invisible default button buried deep inside. Second, women and men can have conversations about what the default looks like for each one of us because it’s not necessarily the same. Third, we can make new choices every day about cutting ourselves a break, being more understanding when women make mistakes and frankly, taking a fresh look at our relationships with men – whoever they are – to see how the default is in play. The impact on the community is profound when women reject the default and choose to see other women as collaborators, allies, and partners. The movement to this awareness cannot be underestimated because of the pull of the socialization. We know, for example, that women make excellent leaders, but they are too few. When women feel sincerely supported by other women, they lose the fear to be ambitious and seek leadership positions. However, as Sheryl Sandberg points out in her groundbreaking book “Lean In”, many female leaders leave before they have to because of the loneliness at the top – or even part way to the top. And it is because of the default. The critical idea that women globally can embrace is the absolute need to generously support other women to not only achieve leadership but to stay in their leadership positions. Even when they make mistakes and even when they fail. There is a serious double standard in the world about how women view one another and how women view men. Women hold one another to a higher standard and once we are onto it, the world will change for the better. When we stop tearing one another down and choose to build one another up, families will benefit, and companies will benefit. What I know is that women can create a new normal for ourselves that is based on respect and the freedom to give feedback without fear of retaliation. We as women need to do a better job at setting expectations with one another. To set a standard that makes it safe to speak more directly and honestly with each other and to elevate one another. Men can help by being onto the default too. I fight hard every day to shut off my default button and to make sure it stays off. We can’t underestimate the pull of the socialization but if we really can get onto it, we can break the vicious cycle. What I see is when we work together, the world will be one where workplace bullying ends as will sexual harassment and we will close the wage gap so that women finally make the money they deserve, not to mention our daughters and our granddaughters. That’s what will happen when we shut off our default buttons once and for all. We didn’t get here in a minute so it’s going to take a while to get us out of the status quo. I know we are up to the challenge and when we turn off the default, the world will be a better place for all of us. This article first appeared in Executive Secretary Magazine, a global training publication and must-read for any administrative professional. You can get a 30% discount on an individual subscription when you subscribe through us. Email subscriptions@executivesecretary.com and tell them we sent you. You don’t get if you don’t ask. This saying is true about many things but it is especially true when it comes down to asking for training dollars. In our complicated workplace, professional development is not an option or a “nice to do.” Training for assistants is an absolute necessity to keep staffers sharp and relevant and to support companies to keep their competitive edge. But how to ask? In this 3rd of a 3-part series, Bonnie and Vickie answer this question in detail. Did you know that your company may actually have a training budget but it just may not be advertised? If you are looking for a new job, an important question to ask is: How much is the annual training budget for assistants? Learn how to build your business case that will result in an enthusiastic “Yes.” You will be providing the ROI (return on investment) to justify the training to your leaders. There is simply too much at stake not to do this. But…if your leaders still say no, learn what absolutely free resources are out there. The most important thing is for you to get the training you know you need. You are worth the investment. 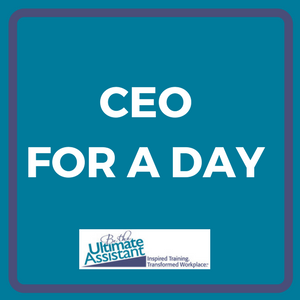 What would YOU do if you were CEO for one day? How would you make your workplace a better one? To celebrate Administrative Professionals’ Week this year, I was inspired by our amazing global community. These women and men continue to impress me with their depth of knowledge, their resourcefulness, their creativity, their intelligence, and their IDEAS that make so much sense. the Be the Ultimate Assistant (BTUA) workshop of her/ his choice in 2018. The question: If you were CEO for one day, what change would you make to make your workplace a better one? What follows are just some of their responses. What high-quality training is out in the world for assistants, no matter where you are based on the planet? The great news is that training is now plentiful and comes in all modes, platforms, and sizes. But how to choose? 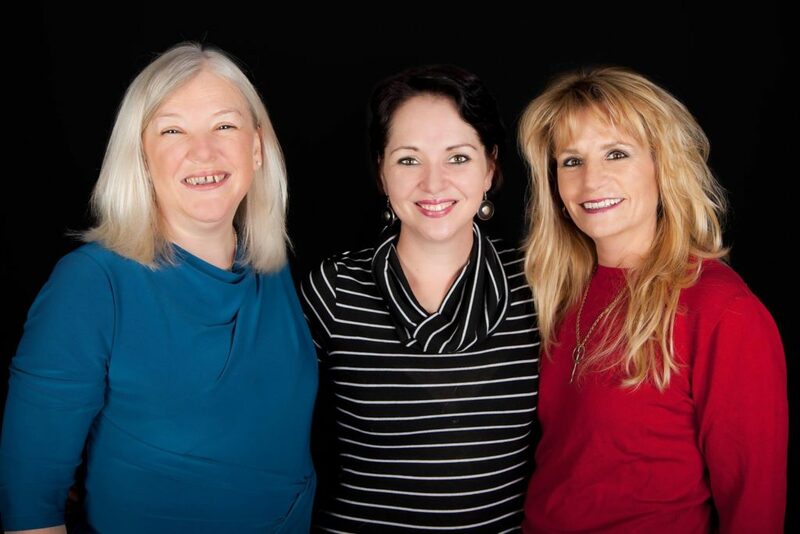 Bonnie Low-Kramen and Vickie Sokol Evans discuss all of them including; in-person events of all sizes, virtual online events, podcasts, blogs, webinars, books, and magazines. Be ready to take notes to gather the information that is just right for you, your colleagues, and the people you support. Please note: It would be impossible to list every conference and resource below so we have given some of the most major places which aggregate all the information. Give a shout if you have questions! Training is not an option anymore. 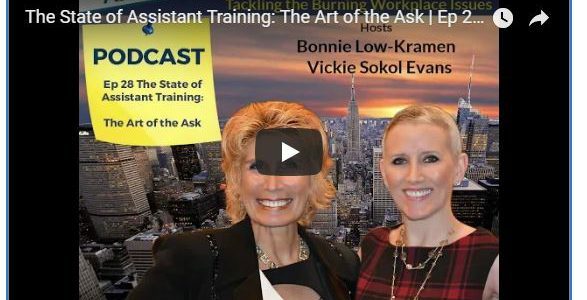 In this 3-part series, Bonnie Low-Kramen and Vickie Sokol Evans take a deep dive into the slippery subject of assistant training. Historically, the 10 million Executive Assistants, Personal Assistants, and general support staff in the United States have not been offered specific training relevant to their roles. For too long, training was not considered an important investment to be made because the need did not appear to be pressing. However, since the financial meltdown of 2008, the world and the workplace has changed in a seismic way. In our demanding 24/7, non-stop instant access global workplace of 2018, too many assistants are still fighting for training dollars and this education gap is hurting companies. 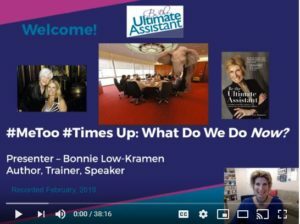 In Part 1, Bonnie and Vickie explore where we are with training and why and how we got here. Spoiler Alert: Training is no longer an option and training budgets for assistants are now a global trend as leaders have begun to clearly see the ROI. Executives need to have highly skilled assistants and that only happens when assistants receive training specific to their role. It is definitely not one-size-fits-all. By Bonnie Low-Kramen, President Ultimate Assistant Training & Consulting Inc. 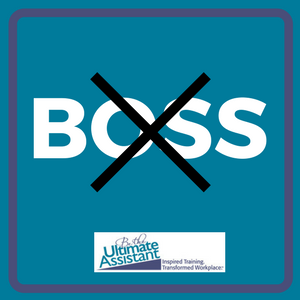 I admit that ever since I was a working person from around age 12 as a babysitter, I have had a problem with the term “boss.” Hearing it makes me cringe. It always struck me as a negative and demeaning word – and for good reason. Because it is. At least in the definitions that apply to the workplace and to the people who supervise others. Did you know that the origin of the word comes from the Dutch word “baas” which translates to mean “master?” “Boss” was first used in the 1660’s in the Dutch settlements of colonized America. “Boss” started being used because of the American aversion to the word “master” which was commonly used in England. So it seems that the word morphed out of a need to avoid more humiliation. The word became the lesser of two evils. Let’s take a closer look at the word according to Merriam Webster and how it is still being used. Also of interest are Merriam Webster’s “words related to boss” which include: mistress, dictator, dominator, superior, slave driver, micromanager, oppress, and tyranny. In every case related to the workplace, the connotation is negative. At conferences all through the U.S. and in 12 countries, I typically tell audiences early on in my presentations that I am not a fan of the word “boss” and I tell them why. I get to see the idea “land” in their body language and the recognition in their eyes. The idea resonates powerfully as they feel why they don’t like the word either. What I experience during Q&A is that my audiences easily and happily choose to find substitute words to describe the men and women who are their leaders. Change can happen in minutes if we intentionally choose it. Editors and writers might be reading this right now and wondering what short 4-letter word to use for snappy headlines? What about “Exec”? Surely we can solve this if we believe it is important enough. The working professionals of the world get it because they understand the history and the innate negativity of the word because it doesn’t stop at just words. What often comes along with those definitions are the actions of workplace bullying, sexual harassment, and demeaning behaviors. The data is crystal clear that the way to inspire the best long-term work from staffers is to not boss them around. People quit people, not companies. In our 2018 workplace, the #MeToo, #TimesUp and #HandsOffPantsOn movements are real ‘things’ that are exposing the rampant harassment and bullying epidemics going on globally. The bright light is shining on company culture and the way humans relate to one another. Intimidation and bossing are not effective long-term management styles. In a recent survey by Google, the results revealed the top 5 things that staffers want most in the workplace and none had to do with money. The number 5 result was Psychological Safety. Staff wants to feel respected, valued and that they belong which is the antithesis of management by intimidation. This survey result is consistent with what I am seeing and hearing all over the world, from S Africa to Dubai to Scotland to New York City. Doing what I am proposing would mean taking a fresh look at the written language on company websites, job descriptions, social media posts, and most of all, at the way we speak about and to one another. In 2014, Sheryl Sandberg worked to ban the word “bossy” since it is a word only used to describe females. I am a huge fan of Sheryl, her book “Lean In,” and this Ban Bossy idea. I want to take it a step further. Will you participate? 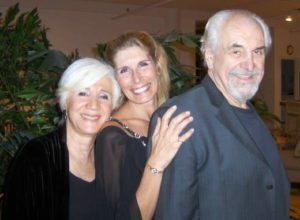 For 25 years, I worked as the Personal Assistant to Oscar winner Olympia Dukakis and her husband actor Louis Zorich. From the beginning of my work with Olympia, I felt uncomfortable using the word “boss” and so did she. I would call Olympia my “executive” or “principal.” Olympia would introduce me and say, “Meet Bonnie Low-Kramen. She works with me.” The “with” rather than “for” was subtle but it sent a powerful message to the listener. It is these kinds of intentional and respectful decisions that kept me happy and productively doing my job for 25 years. Olympia had no desire to “boss” me around because it did not make sense to either of us. Rather, she saw our work as a strategic business partnership and a collaboration. As such, I had a seat at the table at important meetings and the opportunity to speak when I had something to contribute. I belonged there. The workplace of 2018 has never been more demanding and is crying out for this change. This could be a singularly historic landmark moment. The word “boss” no longer has a role in our modern workplace. It’s our choice. This change will make a difference for our daughters and sons and beyond. We are worth it, aren’t we? If you believe in these ideas, please share this post far and wide. Thank you.